In our commitment to provide ideas on resources available to business owners, below is a video on the resources available through Master Drive, Inc. regarding commercial fleet risk management, training and safety programs. Master Drive, Inc. is a leading provider of driving training and commercial fleet training as well as provides an extensive risk assessment, driver training and safety programs for business owners to assist in managing their business auto liability exposure. Please review the video and if interest in the resources and training they can provide, to meet your specific needs, please feel free to contact them or myself to arrange a meeting to explore their resources. As a Business Insurance/ Risk Management Professional, my career covers 36 years working with various insurance companies and brokerage firms. I’ll advise and work with you and your businesses to evaluate and implement risk management plans designed to protect your financial assets. This is the work I most enjoy. In short, we give our clients an edge. 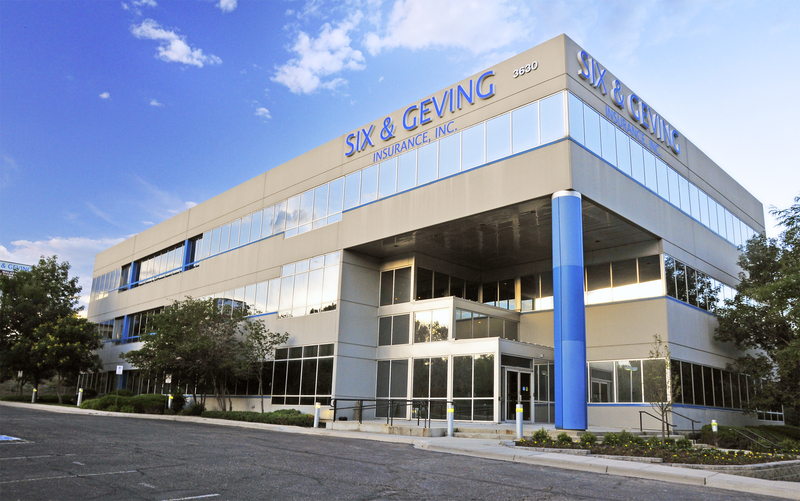 Six & Geving is the largest locally owned and operated, independent insurance agency in Colorado Springs. We specialize in Business Insurance, Bonding and Risk Management Services for our clients in Colorado Springs, Denver Metro and the entire Colorado Front Range with operations regionally, nationally and internationally. Requesting a consultation to discuss your business insurance needs is easy. Fill out the short form below. Dave Reitan will contact you within two business days. Are you the business owner or a decision maker? Give us a few details about your business or company's insurance needs. Dave is known in our community as someone who people can trust with their business insurance. He prides himself on customer service and strives to educate his clients on what kinds of insurance they really need to cover their business exposure and risk. Six & Geving is the largest locally owned and operated independent insurance agency in Colorado Springs specializing in Business Insurance, Bonding and Risk Management Services for our clients in Colorado Springs, Denver Metro and the entire Colorado Front Range with operations regionally, nationally and internationally. As a Business Insurance/ Risk Management Professional, my career covers 36 years working with various insurance companies and brokerage firms. My previous positions include underwriting, product development, marketing , sales, with managerial experience in sales management and as a Vice President in key organizational leadership positions.